Glenn Beck’s keynote speech on Saturday at CPAC was a tour de force. It was a forceful, passionate articulation of conservative principles and an indictment – of sorts – of the Republican Party for failing to hew to its principles during the past decade. 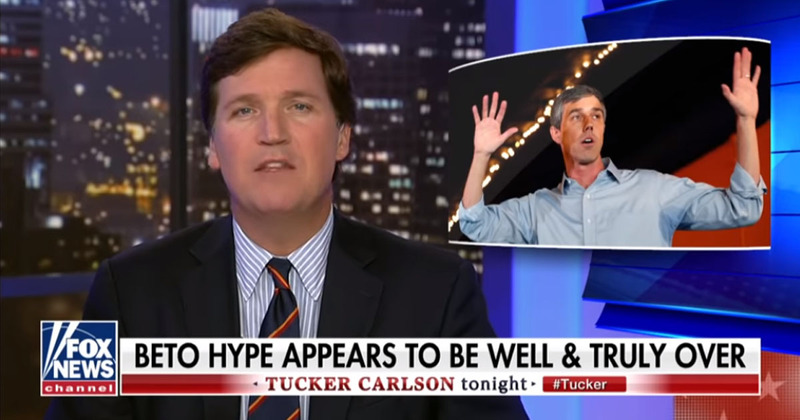 Beck’s central thesis is one which he continuously rams home on his TV show – namely, that out-of-control federal spending and debt is likely to force a painful reckoning and hardship in America like the country hasn’t seen since the Great Depression, and a smart government will allow the market to reset the economy in order to return to reality. He makes the analogy that, like Ronald Reagan said, “it’s Morning in America” – but while Reagan created that metaphor as a cheerful one in Beck’s formulation our current morning includes a deadful hangover following a drunken binge. The reaction to Beck’s presentation has generally been a very positive one, and the general takeaway from this year’s CPAC is that the conservative movement has moved in a more libertarian direction – “constitutional conservatism” is the phrase you hear more and more – having embraced the Tea Party movement and backing away from the big government/social conservative model championed by the Bush administration. Beck considers the Bush “compassionate conservatism” to be Progressivism Lite, in that it sought to use federal government resources to achieve social ends rather than to limit government and allow people to succeed and fail based on individual talent and behavior. His speech largely fits the times, as more and more people in America understand that the federal government – and state governments as well – no longer have the financial resources to provide a social safety net from cradle to grave, and support for large unionized bureaucracies to solve every social ill is evaporating amid mountains of debt. Bennett might have a point in that Beck’s status as a recovering alcoholic and his having gone through Alcoholics Anonymous should have dissuaded him from making such an extrapolation. On the other hand, the primary objection to the GOP retaking control of Congress or the Presidency is that when the party had both in the previous decade they engaged in irresponsible and wasteful spending; the anger at that mismanagement and wasted opportunities to change Washington persists, and it’s one reason why despite the off-a-cliff decline in Democrat fortunes Republican party identification and fundraising are sluggish at best. Beck’s suggestion that the Republican party seek absolution for its misdeeds is by no means a unique one, and it is not necessarily intended as a literal demand. Second, for him to continue to say that he does not hear the Republican party admit its failings or problems is to ignore some of the loudest and brightest lights in the party. From Jim DeMint to Tom Coburn to Mike Pence to Paul Ryan, any number of Republicans have admitted the excesses of the party and done constructive and serious work to correct them and find and promote solutions. Even John McCain has said again and again that “the Republican party lost its way.” These leaders, and many others, have been offering real proposals, not ill-informed muttering diatribes that can’t distinguish between conservative and liberal, free enterprise and controlled markets, or night and day. Does Glenn truly believe there is no difference between a Tom Coburn, for example, and a Harry Reid or a Charles Schumer or a Barbara Boxer? Between a Paul Ryan or Michele Bachmann and a Nancy Pelosi or Barney Frank? Bennett, again, has a point in that when Beck claims there are no differences between Republicans and Democrats even Beck doesn’t really believe it – it’s a hyperbolic and probably unhelpful statement that had more relevance during the beginning days of the Tea Party movement in the first half of 2009 than it does right now. But Beck makes no bones about the fact that he considers himself an independent, not a Republican. One of the key features of his “9/12 Project” is that its adherents should force the political parties to earn their support. It is a valid criticism of Beck that such a stance – when only one of the two major parties is seeking the support of 9/12 Project and Tea Party types – is unrealistic; unless Tea Partiers are willing to do the hard work of taking over the GOP from the bottom up they’re simply not going to have the influence necessary to control its message or candidates. And furthermore, when Beck criticizes the GOP as being just as bad as the Democrats he’s not talking about the Tom Coburns, Paul Ryans and Jim Demints. He’s talking about the John McCains and Lindsey Grahams of the party – and McCain’s admonition that the GOP has “lost its way” rings as hollow as his campaign given his horrid record of endorsing big-government policies and conniving with Progressive Democrats on every issue of import over the past decade. Unfortunately, those “moderate” voices are still in control of the Republican Party in Congress – Mitch McConnell plays one heck of a George McClellan in the Senate and John Boehner might talk a decent game but he’s part of a House leadership apparatus which has done little over the past several years to promote fiscal responsibility. McConnell and Boehner did decent work fighting the worst of Obama’s excesses last year. But it’s hard to see either as the transformative leader who will, should the GOP regain control of the House and/or Senate this November, institute an austerity program in federal government, devolve power back to states and local governments, slash tax rates and do the other things which would indicate to Beck and his adherents that the binge is over. Demint certainly has shown he understands the direction conservatives want to move in, but he can’t even get the National Republican Senatorial Committee to join him in backing true conservatives in GOP primaries. Sweet-sounding voices in the wilderness hardly make for a Beltway revolution the likes of which Beck and the majority of the CPAC conventioneers are calling for. Here Bennett loses much of the legitimacy of his argument, because while the Tea Partiers are beginning to gravitate to the GOP the movement came about totally independently of the party. And while he’s right in saying the aims of the Tea Partiers largely consist of “correcting the wrongs of the current political leadership,” the Republican leadership is included in that number. He misreads both Beck and most of the disaffected and lapsed Republicans across the fruited plain who are not inclined to let the GOP off so easily. And he also misses the “vomiting for four hours” analogy if he thinks Beck considers the rise of the Tea Party movement is akin to a purging. It is not. What the Tea Party movement and the prospective electoral holocaust facing the Democrats this November analogize to are not the commencement of the hangover – rather, they’re a ride home from the bar. The hangover begins when a more responsible leadership is faced with the daunting task of cleaning up federal spending and rooting out abuses of individual freedoms despite the tooth-and-nail opposition of special interest groups. If Bennett thinks that the re-energizing of the conservative movement over the past year is anything but a beginning, he’s badly out of touch. America has a long tradition of antibodies that kick in. From Carter we got Reagan. And from Ted Kennedy and Barack Obama we took back a filibuster-proof majority in the Senate, with midterm elections on the horizon that Republicans and conservatives are actually excited about, not afraid of. To say the GOP and the Democrats are no different, to say the GOP needs to hit a recovery-program-type bottom and hang its head in remorse, is to delay our own country’s recovery from the problems the Democratic left is inflicting. The stakes are too important to go through that kind of exercise, which will ultimately go nowhere anyway — because it’s already happened. But what Beck and the Tea Party movement wants to see is not an abasement per se, but a set of fresh faces in charge. New leadership is the most obvious manifestation of a change in direction and a seeking of redemption, and though the words are different the music remains similar on Capitol Hill. He’s correct that Beck’s statement equating the two parties misses the mark. But Bennett’s embedding within the GOP power structure perhaps blinds him to the fact that the party still has a long way to go in differentiating itself from the leftists and socialists in the Democrat Party, and until that project is fully completed it’s not a dangerous myth to decry the lack of difference between the two – particularly given that the 2008 election in which McCain ran around squealing “Me too” to most of Barack Obama’s left-wing tropes is still fresh in the minds of the American public.